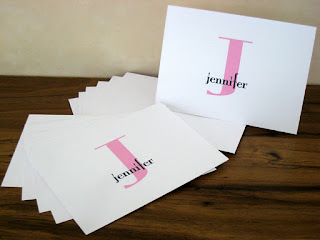 You will receive 6 note cards measuring 3 1/2 X 5 inches when folded. Includes 6 white envelopes. Perfect stocking stuffers, graduation gifts and perfect for teachers. You choose your color, letter and name you'd like printed. Use the paypal button below to place your order. I really enjoy your theme of the 12 days of christmas. It's a wonderful concept for the holiday season. I found your ideas very useful and helpful for some ideas that I also had.